Strava does weird things, some people's results were completely omitted. Contact me if you see any mistakes. Don't forget to dress sensibly, it could get cold, bring food and water, tubes and tools. Have the course at least on your phone or GPS. ( << you may like to download the new file, I think the other was faulty). Familiarise yourself with the course in the event that you get lost. Course notes here. Please read them at least once. The Belmont Regional Park will no longer be closed for lambing as of the 20th October, this weekend, if you are one of those unscrupulous sly trainers looking for course knowledge ; ) The timed segments below are at this point a rough guide. They may be tweaked one way or another. YMMV. 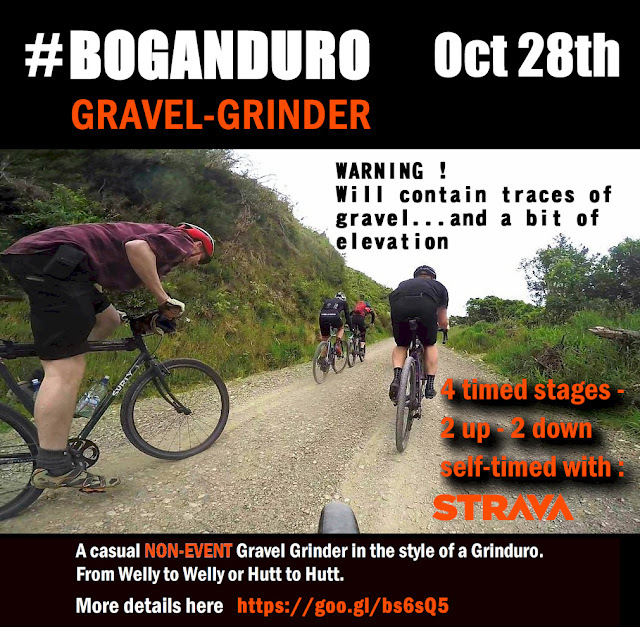 The Boganduro is a casual gravel grinder in the Grinduro format with self-timing based on the STRAVA app installed on your phone. This is a chance to catch up with your buddies and have a good old chin-wag, and if you are up for it, lay down the hurt on a couple of climbs or downhills, if that's your thing. 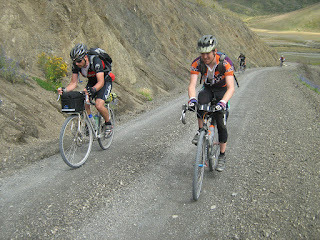 It will be on gravel where possible, with around 1600 metres of climbing. The Boganduro starts in Wellington, or the Hutt Valley, and takes in Battle Hill and Belmont Regional Parks. Petone Wharf 8:40am, Sunday October 28th. Food availability: Pauatahanui Cafe / Dairy enroute. Bail-out points: Judgeford, return to Hutt Valley via Haywards on the road. It's fully self supported, bring tools and a couple of spare tubes and kit. Be prepared for all weather and to ride for up to 96 kms max, but around 74kms if you are only starting in the Hutt. Use #boganduro to share related bumpf in your social media if that takes your fancy. To give you an idea of the terrain, here are the STRAVA timed segments that will most likely be on the course. My suggestion is that you will want at least 35mm tires. 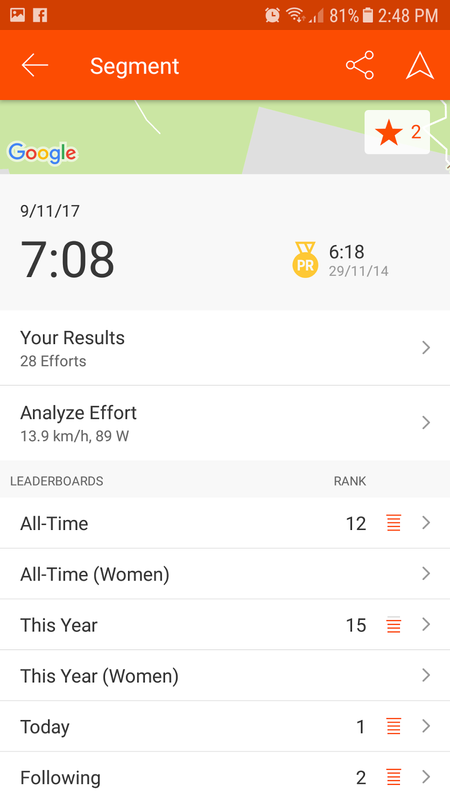 The Strava timed segments are shown here. I have done a couple of reccies on the 3 of the 4 sectors of the #Boganduro. 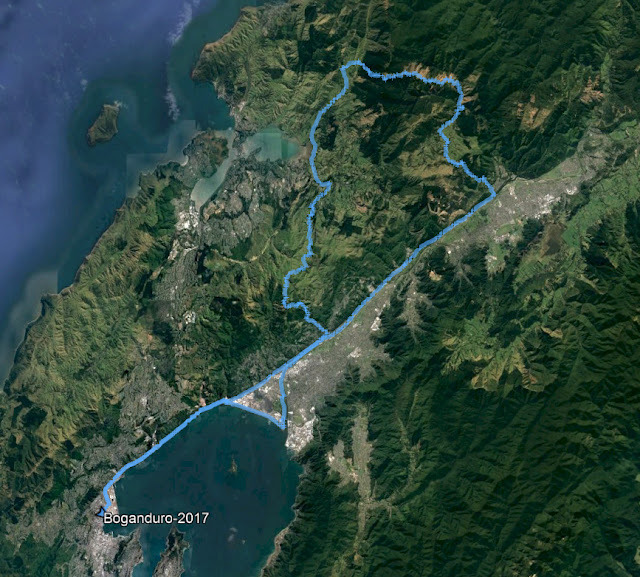 The downhill segments are both mint, and the climbs are... climby : ) the major climb (Puketiro/Cooks Road) you should be able to do in a 1 to 1 gear, so a 32/32 or similar, but YMMV. Strava tells me that there is at least 1 km at 20% on this first sector, but overall it is 8%. The latest NEW stuff is here now (just below). *A large map here. (Dropbox). *Read comments below on Dropbox. * WARNING. Dropbox have deliberately made the download procedure confusing so that people THINK that they need to join up and login to dropbox. You do NOT need to. When the big white login button appears, click the small grey X in the top right, and continue on, repeating what you have already done. Once the file is saved you can Drag n drop the file onto your GPS or smart phone. I don't know what you do if you have an Iphone but I heard recently that Apple were going to invent "drag n dropping" of files. Fingers crossed! There are plenty of phone apps that allow you to view a GPS file. The one I use is called New Zealand Maps. There is another map here which gives you a good idea of the course, but it is temporary. Youtube of the Bull Run track here. This is the only technical part of the course. Slow down if you are not a confident rider. There are only a couple of small drops in the course. Another version of it here with better lighting. After you have finished your ride you can upload the file using Strava. Go to the Boganduro segments under your results, look under the "LEADERBOARDS" for "Todays" results. Results from last years Boganduro are here.